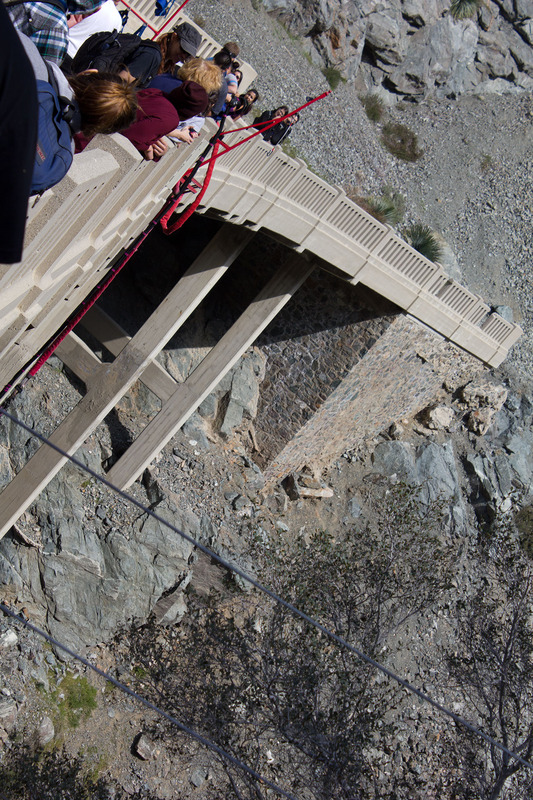 The Bridge to Nowhere in Angeles National Forest provided a 120-foot platform, or what appears to be a toothpick as I stepped over the ledge to what could possibly be my final moments, for an unforgettable bungee jumping experience. 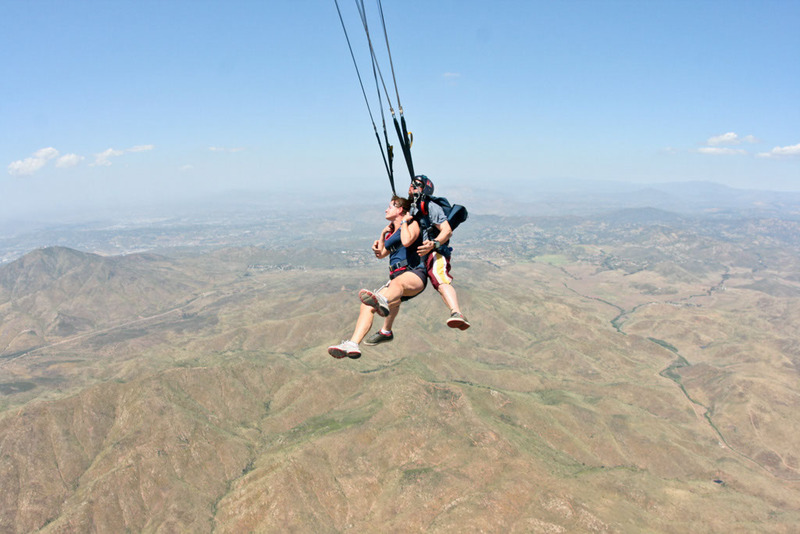 For me, skydiving with Skydive San Diego had two major advantages over bungee jumping with Bungee America. First, I didn’t need to hike 5 miles before getting to the real experience- the airplane and the instructor did the job for me and I could concentrate entirely on the activity I wanted to do in first place. Second, in skydiving I could reach higher altitudes and enjoy the euphoric state of free falling for extended periods of time (I was in free fall for over 60 seconds). The feeling of the free fall before the parachute is opened is something that can’t be compared to anything. This is an older post but it got me dreaming of flight again so I though I’d share. Enjoy! Share! And get up in the sky. 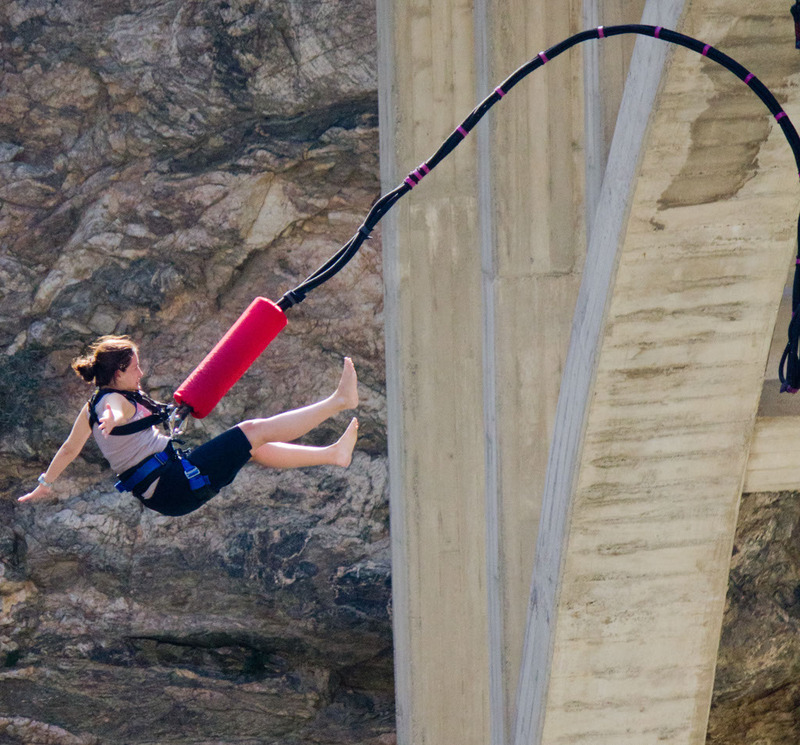 This entry was posted in Adrenaline, Adventure, California, California Outdoors, Travel, USA and tagged adventure, bucket list, Bucket List Publications, bucketlist, Bungee Jumping, California, extreme, Lesley Carter, Paragliding, skydiving, travel, USA by lesleycarter. Bookmark the permalink. I will live vicariously through you. I’ve thought about tandem skydiving, but I know I would chicken out at the last minute. But I hear you and see your pictures and it almost takes any apprehension away. 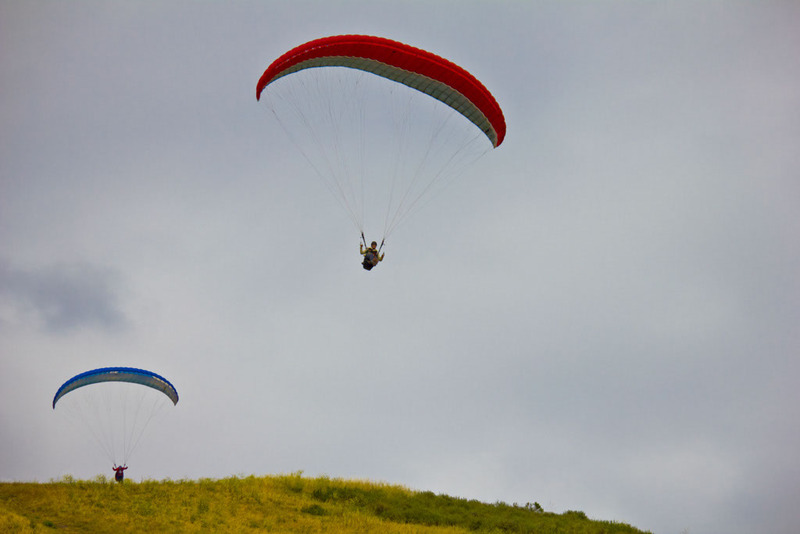 If you dream of this sort of “flight”, I’d recommend tandem skydiving. You get all of the thrill with none of the work 😉 It is in my top five adventures in my life. Heading to SoCal in 3 weeks…will definately be checking this out! Enjoy Southern California. It is one of my favorite places in the world. I look forward to going back soon. Are you headed there for work or pleasure? Leslie, you can do the flying for me. It looks like fun, but I have a very healthy fear of heights that I’m still trying to conquer, and that just doesn’t look like the way to do it. Excellent pictures, you are certainly much braver than I.
sounds as if you had a great deal of fun. 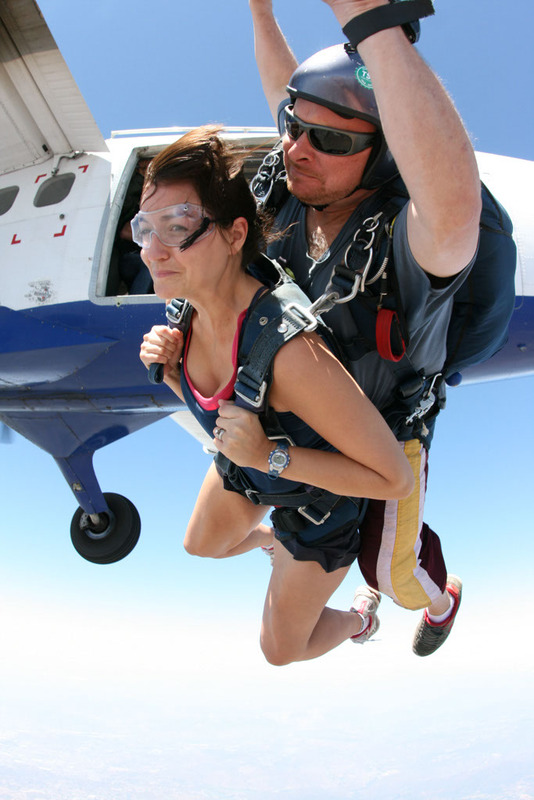 i’ve been skydiving once (also a tandem jump) and agree that the free fall is like nothing else you’ll experience. your piece has made me think i might want to try bungee jumping too. 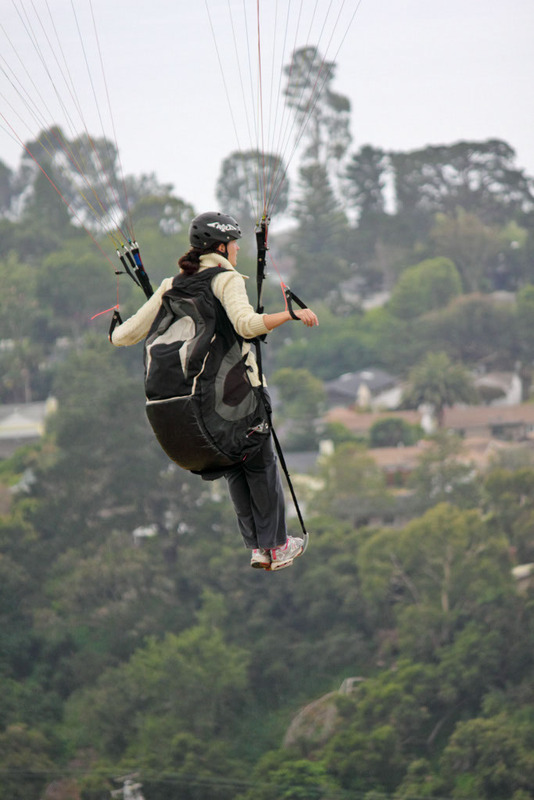 paragliding looks like the most fun of all. the fact that you can guide yourself in flight looks especially intriguing. by the way, have you tried wing suit jumping yet? that looks like the most exhilarating extreme air-sport of all! OMG, I know you survived because you sent us the pictures, but I seeing them made my fingers and toes tingle and not in a good way. You looked like you were having fun and that, for me, is impossible to understand how. I’m glad you survived, I really admire your courage and the pictures are amazing, but just so you know, Amelia Earhart, died in a plane crash! The nearest I have ever come to these aerial activities was a once only zip-wire ride over the Manchester Ship Canal, UK. No comparison, really! Good luck with your next adventure! I would love to skydive one day! 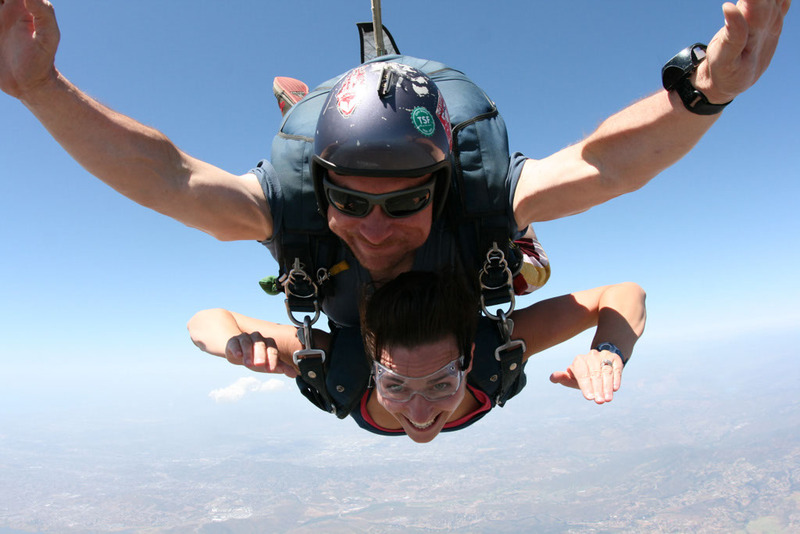 I thought about skydiving to raise money for the hospital which saved my mother’s life last year. But I was concerned about the impact of landing. I am only 20 and I’m reasonably fit but I have a knee injury (I am getting sorted out by a great osteopath) and I was concerned about exacerbating the injury if I landed hard. 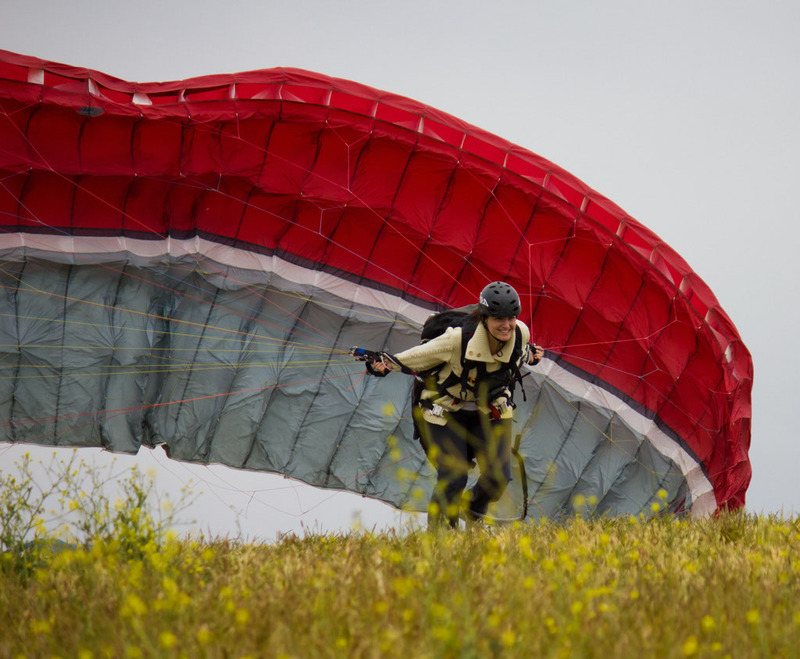 I’m curious…what is it like when you land from a tandem skydive? Do you come down with force or do you land gently? Bungee jumping doesn’t grab me at all, but I really have to stop making excuses not to book a tandem skydiving jump; there’s enough places here in the Czech Republic that offer tandem jumping that I really should stop procrastinating on that one. Paragliding looks like a ton of fun too. We were on holidays in Austria this past summer and saw a few paragliders flying around while we had lunch on a mountaintop restaurant near Graz. Definitely do visit Austria. It’s a lovely country with friendly people. Salzburg is certainly a “must” if you go there and Worthersee near Klagenfurt is stunning. You could be Lara Croft. Thanx for sharing your adventures and have a wonderful day. I love microlighting, but from breathlessly living with you in that experience of paragliding I get the feeling that would be my ultimate thrill. I recently posted on the comparison between hangliding and and para, and expressed the view that I preferred the idea of the former … but now I’m not so sure! Can you share the link to your post? I’m envious of the opportunities available to you there in SoCal. Also, kudos to your photographer! Those are some great shots! aaahh… could I do that again, now, all these decades later? I wonder…. beautiful inspiration..
You are SO brave. I don’t have it in me to make those leaps. I’d probably throw up instead!! I was totally in awe, thinking you’d run off to CA to do all of this… and then realized it’s why I fell in love in the first place. Is this reposted, or a new adventure? Amazing! Reposted (I explained that at the bottom). It’s just part of the reason I love California and we’ve been thinking about it all week so I thought I’d share. She wasn’t even thought of at this point and now she’s running around the room singing “Row, Row, Row Your Boat”; amazing! Great views… but WOW… Ummm.. not for me. I’m WAY too scared of heights for any of that. Looks like you had fun though, and that is what matters. Wonderful photos, and I also appreciate the comparisons between the different air experiences! Amazing! That is wonderful but i am so scared og heights. Oh no! I’ve never even heard of eagle paragliding! Looks right up my alley. I’m looking it up ASAP. Great write up! When did you do this?! I’m going skydiving with my family near Palm Springs next week! Such a beautiful Spirit … makes me smile. 🙂 Thank you. Oh wow I wish I had the courage to do this! I love this! Amazing! I should really jump on board with the whole skydiving craze. Living in the prairies is sucking the life out of me, I need an adventure..
Wow – you really love flight! Super engaging post. OK… so I’ve always totally wanted to do that!!! *close eyes* I’m gonna imagine i’m there with you. Whoa! This looks so exhilarating. But, ill just enjoy it vicariously through you and your blog, Lesley. Thanks. But no thanks. AAAAAAH I wanna do them all!!! !